New Jersey native Joe Graf Jr. spent most of 2018 racing cars at some of the country’s most prestigious race tracks. While Graf Jr. was making waves as an up and coming driver in the ARCA Racing Series presented by Menards, his younger sister was quietly blazing a different path. Andreah Graf, a senior in High School was soundlessly raising money for a cause she felt was not getting the proper attention. “My sister started a foundation last year, Kids Face It, whose sole purpose is to help children with different faces,” explained Joe Graf Jr, who competes for Chad Bryant Racing in ARCA. “Kids Face-It supports a vision to see kids with facial differences have an easier journey to acceptance, greater self-esteem, a healthy life balance and feel empowered to achieve their dreams. Graf Jr. continued, “I had read the book Wonder, written by R. J. Palacio, when I was in High School. It was really a powerful book that makes a (heartfelt) impression. The movie was fantastic too. When you see the emotional challenges these children and their families face it is heartbreaking. Although Wonder is a work of fiction it definitely captures the reality of the situation. 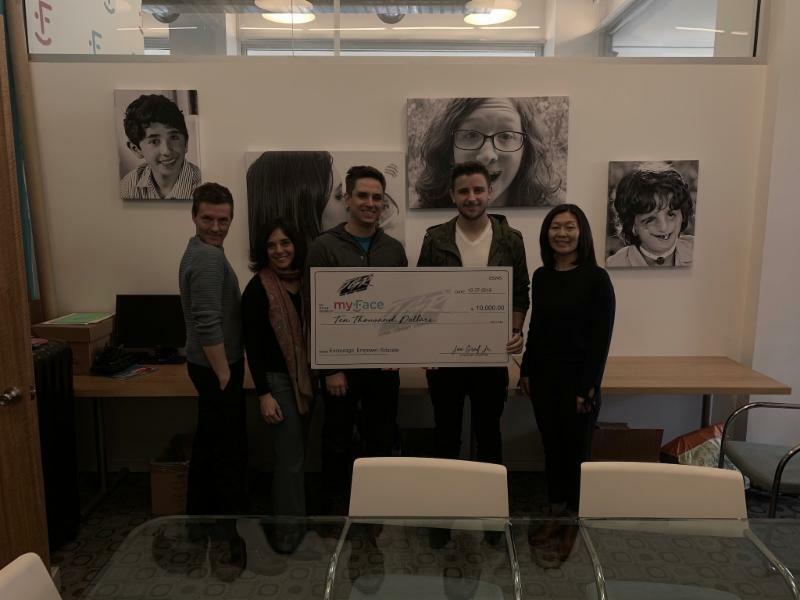 In late December, Graf Jr. and his sister stopped by myFace headquarters in New York City to present them with the donations. “I was so impressed and moved after meeting the Graf Family and hearing their story. Andreah and Joe are bright and thoughtful individuals who care about giving back and helping others,” said Priscilla Ma, Executive Director, myFace. Approaching the start of his sophomore campaign, Graft Jr, a winner in ARCA competition is exploring opportunities to host a charity event for the myFace children and their families at Pocono (Pa.) Raceway this summer.